Imagine if you could combine Parajet's evolutionary and world renowned paramotor chassis with your favourite engine of choice to give you your ideal paramotor? Well now you can! 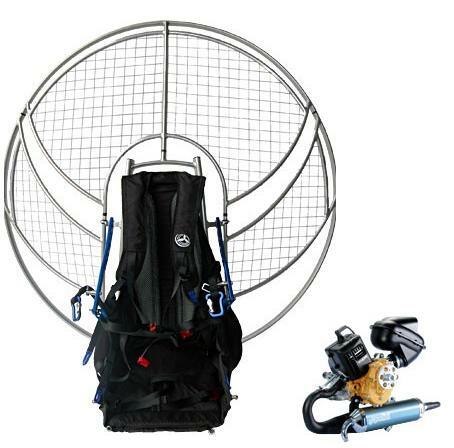 The Volution Custom maximizes the distinct features and adaptability of a Parajet paramotor. The Volution Custom's strong, yet lightweight high-tension aluminium chassis and aerofoil cage provides an improved power-to-weight ratio for enhanced handling and in-flight manoeuvrability. Wide profile chassis uprights and laser-cut aluminium engine mounts provide unmatched rigidity and high strength just where it's really needed. With a choice of 5 engines, the Volution Custom enables you to refine your airframe even more, to create a paramotor that is perfect for both beginner and advanced pilots. The Volution Custom will enable you to fly the paramotor you've always imagined. The Volution Custom's unique chassis has been designed to give pilots greater control, both on the ground and in the air. The lightweight, high tension chassis helps improve power-to-weight ratio for enhanced ground handling and in-flight manoeuvrability. While the wide profile aluminium uprights offer unmatched rigidity and impact resistance. The super-strong aerofoil cage offers strength and aerodynamic styling that is instantly recognisable as Parajet. The unique cage system splits into three sections and enables the Volution Custom to be put together in seconds, and once dismantled can fit into the boot of your car. The Volution Custom comes in both netted and aluminium configurations. The Volution Custom's low hang-point configuration improves manoeuvrability giving the pilot precise and responsive handling through weight-shift and improved feedback from the wing. The pivot arms are securely fitted with the revolutionary locking system that retains the pivot arm pin once the paramotor has been assembled. The lightweight harness ergonomically fits to the pilot, redistributing the weight more evenly across the centre of the back. This new rucksack-style configuration offers increased load stability, resulting in less strain and fatigue during launch. The higher leg straps gives greater tolerance for wrongful adjustment and guarantees that you'll get in and out of the seat every time. The Volution Custom chassis fitted with the world renowned Polini Thor 130 2-stroke engine. Now with Flash start and float bulb as standard. 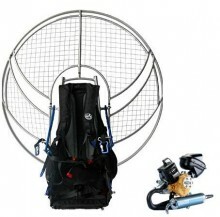 Click the button below to add the Parajet Volution Thor 130 Paramotor to your wish list.